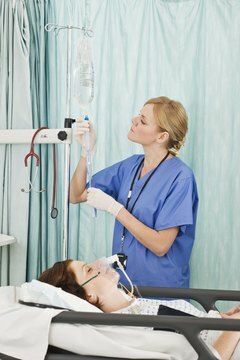 Some states don't permit LPNs to start intravenous drips. If you've dreamed all your life of working in health care, you might consider training as a licensed practical nurse, or LPN. Usually it only takes about a year of training, followed by a certification exam and state licensing. Once you're finished, you can start working right away in hospitals, nursing homes and other facilities. It's a responsible profession, but it's important to understand that LPNs are restricted in their duties. Most LPNs provide direct, front-line patient care. Typically that means hands-on patient care, working with seniors or post-operative patients to take care of their daily needs. That might include bathing or dressing them, helping them eat or go to the bathroom, or guiding them through daily range-of-motion exercises. You'll record their vital signs regularly, change dressings and catheters, and monitor their overall condition. 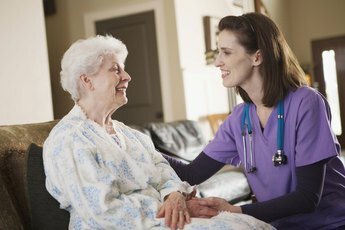 Often you'll be the caregiver who has the most contact with a patient, so it's your job to recognize signs of infection, bedsores, adverse reactions to medication, or the onset of dementia. Each state's board of nursing creates a document called a scope of practice, which explains what you can or can't do as an LPN. For example, some states let you start intravenous drips or administer medications, while others don't. Some require you to have specialized certification in IV use or pharmacology. In restrictive states -- or in workplaces that impose similar restrictions -- these duties are limited to registered nurses. Some states have very specific scopes of practice, while others use general language to allow for your role to evolve. Registered nurses are in high demand, and there are chronic shortages in some areas of the country. A 2007 study published by the University of Oregon evaluated the potential for LPNs to relieve the shortage by practicing at a higher level. As part of that study, the authors rated state scopes of practice by their restrictiveness, and by how specific they were. Iowa was the most restrictive, though California, Alaska and several other states set sharp limits on their LPNs' duties. Massachusetts, New Jersey, Vermont, Washington and several others were relatively open. For the most part, restrictive states also used the most specific language in limiting nurses' activities. If you're frustrated by the limits of LPN practice in your state, you have some options. The National Association for Practical Nurse Education and Service and the National Federation of Licensed Practical Nurses offer specialized certifications, which can earn you the right to do more. If you live near a state border, you might explore the option of getting licensed in a more permissive state. Returning to school and becoming an RN is another option. Many schools offer streamlined programs that give you credit for your LPN training, and some are offered on a part-time basis to accommodate working nurses. University of Oregon: The LPN -- A Practical Way to Alleviate the Nursing Shortage; Gordon Lafer, Ph.D., Helen Moss, M.A. Los Angeles Harbor College: Transition -- LPN to RN…Is It the Right Decision for Everyone? 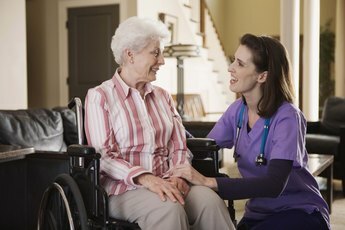 How Can I Get My CNA License Online? Can STNA Be Transferred to CNA in Florida? 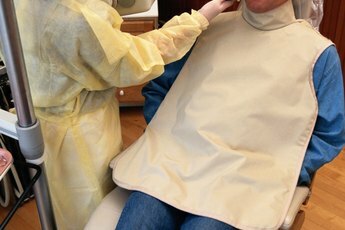 When Does the CNA License Expire? 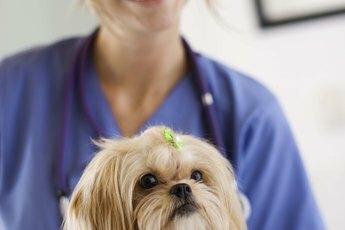 What is an LVN Allowed to Do?